Japanese (EWJ) convenience store chain 7-Eleven is expanding aggressively. The chain currently operates 62,000 stores in 18 countries across the globe through license and master franchise agreements. 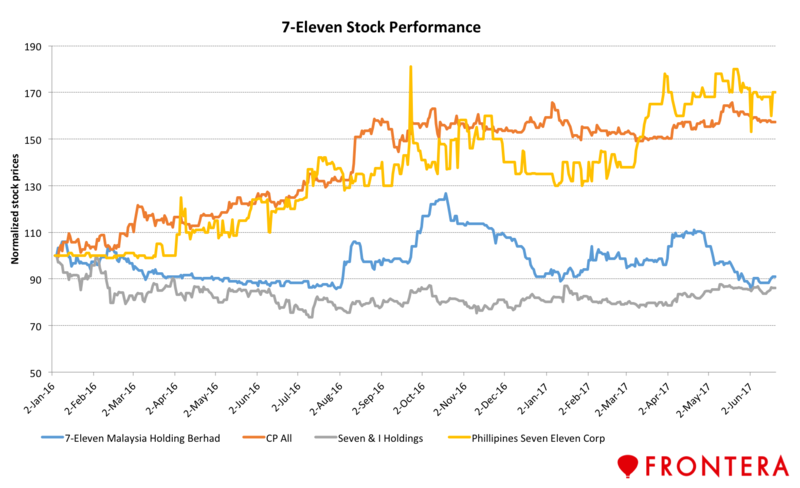 7-Eleven recently laid out its strategy for expansion the US (SPY) and Asia (AAXJ). In the US, the company plans to grow its number of stores to 20,000 from the current 8,500. In Japan, the company plans to open nearly 1,000 new stores in the next one year, while in Vietnam (VNM) the country will open 1,000 stores in the next ten years. The company entered into a master franchisee with Seven System Vietnam to build stores across the country. 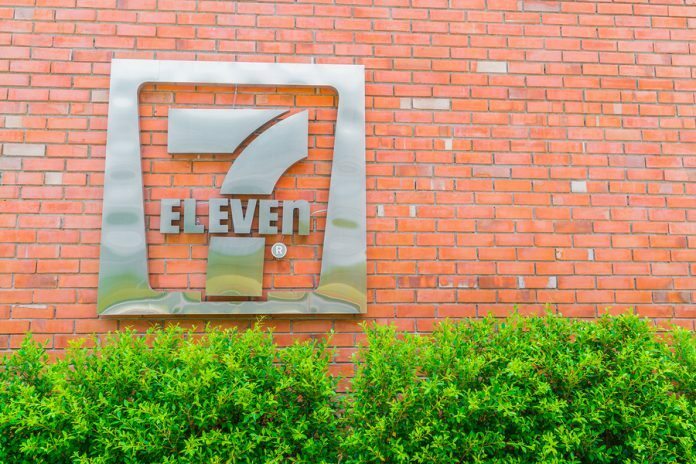 In the Philippines, 7-Eleven (EPHE) will open 412 new stores. 7-Eleven operates in Philippines under Philippine Seven Corp. (PSC) the company’s listed local franchise holder. In Thailand, CP All operates 7-Eleven 9,500 stores, the largest network after Japan. Asia is a key area of focus for 7-Eleven’s growth. 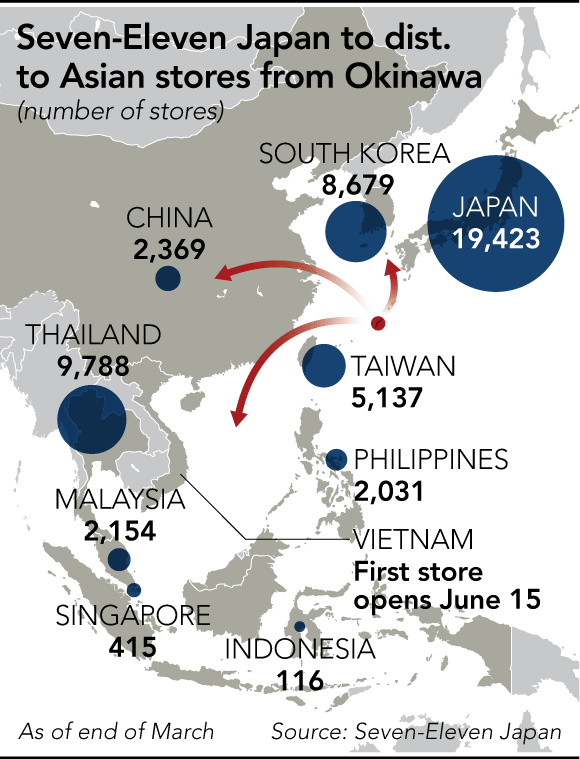 Of the company’s 62,000 stores across the globe, over 30,000 are located in Asia- ex-Japan. 7-Eleven expects to grow its APAC store count to 80,000 by 2020. 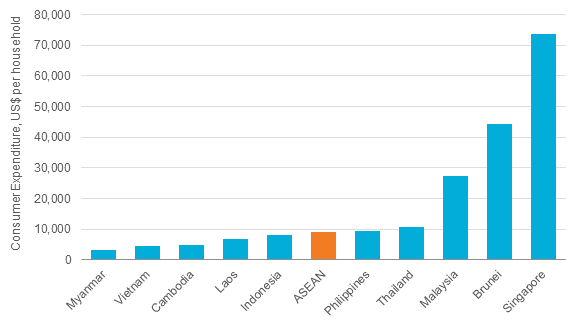 The ASEAN is the world’s third largest consumer market, just behind China and India. Nomura, the Japanese investment bank forecasts spending in the five largest ASEAN countries can grow by 50% by 2020. This equates to an annual spending growth of nearly 17%. “I can tell you (Asia has) been quite attractive and a number of licensees are growing,” 7-Eleven spokesperson Margaret Chabris said. 7-Eleven’s President Kazuki Furuya also dismissed concerns about a slowdown in Japan’s retail sector. “If convenience stores continue to evolve, there will be chances (to grow),” he said. Competition is heating up for 7-Eleven as it tests the water in new markets. 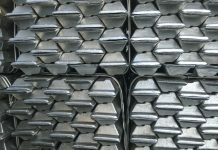 In markets like Malaysia (EWM), Singapore (EWS), Thailand (THD), Philippines and Indonesia (EIDO), the company has marked its presence and occupies a large market share. However, in newer markets, the company faces growing threats from local players. In Vietnam, prior to 7-Eleven’s entry local real estate company Vingroup came to market with convenience stores named Vinmart+. Furthermore, rising competition from online-retailers like Amazon and Alibaba is threatening 7-Eleven’s market share in established countries. Is 7-Eleven’s stock running out of gas? 7-Eleven is currently publicly listed in Japan, the Philippines, Thailand and Malaysia. Year to date, shares of the Japanese parent company Seven & I Holdings have gained 7% while its Malaysia counterpart, 7-Eleven Malaysia Holding Berhad have lost 4.9%. In the Philippines, the company is operated by PSC All, while in Thailand it is run by CP All. Shares of the companies have returned 24% and -1.2% in 2017 so far. Recently, CIMB Research re-iterated their “reduce” rating on 7-Eleven Malaysia Holding Berhad on expensive valuations and the company’s rights issue. “7-Eleven is currently trading at 37 times FY17F and 33x FY18F P/Es, which, in our view, seems rather excessive against its modest three-year EPS compounded average growth rate (CAGR) of 11.5%,” it said.